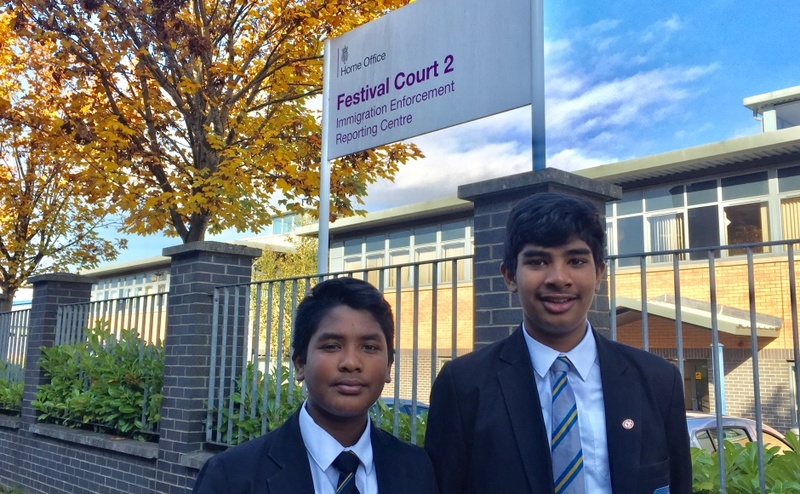 A petition signed by nearly 85,000 people which calls on the Home Office not to deport two teenage brothers from Scotland has been handed over to immigration officials. Somer and Areeb Umeed Bakhsh fear their lives would be in danger at the hands of Islamic extremists if they are sent back to Pakistan against their will. Moderator of the General Assembly of the Church of Scotland, Right Rev Susan Brown, said Christians are a minority group in the Muslim country where blasphemy carries the death penalty. 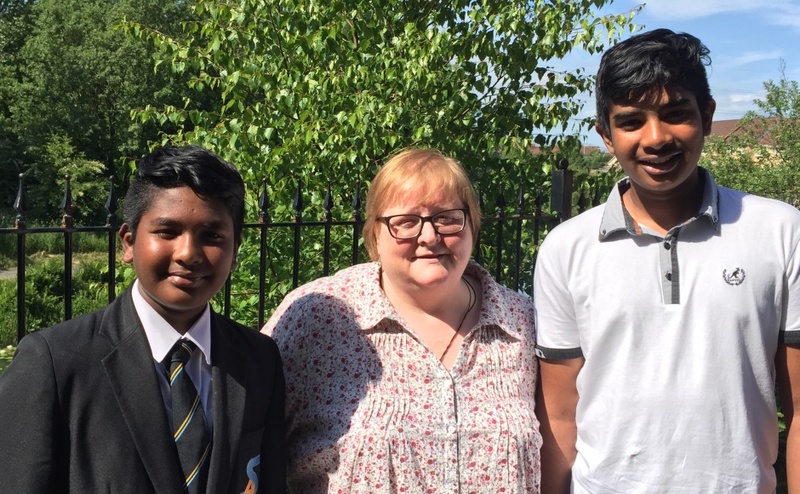 She added that she hoped that Home Secretary Sajid Javid would have the decency, wisdom and compassion to provide the boys, who are 15 and 13 respectively, with permanent sanctuary in the UK. Mrs Brown said: “The story of this family has touched the hearts of tens of thousands of people who want those in authority to know how upset they are that they are being treated so dispassionately. 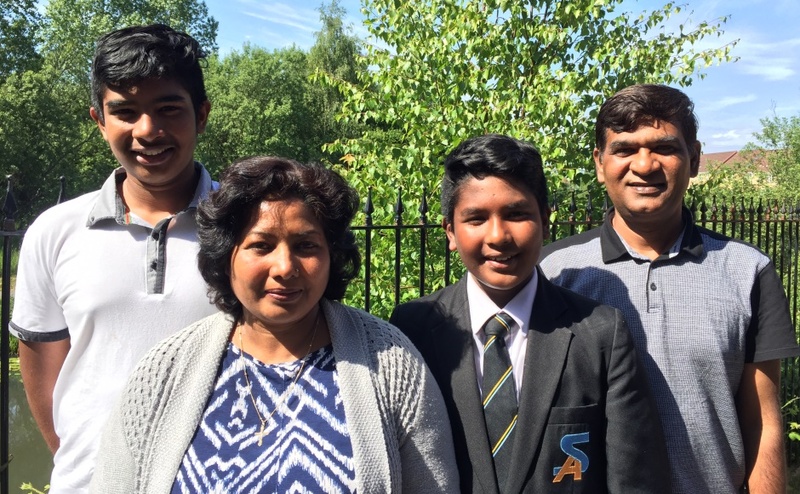 The brothers and their parents, Maqsood and Parveen, fled to Glasgow in 2012 from Faisalabad in Pakistan after their father was subjected to death threats from Islamic extremists due to his Christian faith. He urged the Home Secretary to recognise the human value of people who have come to this country to “escape oppression”. 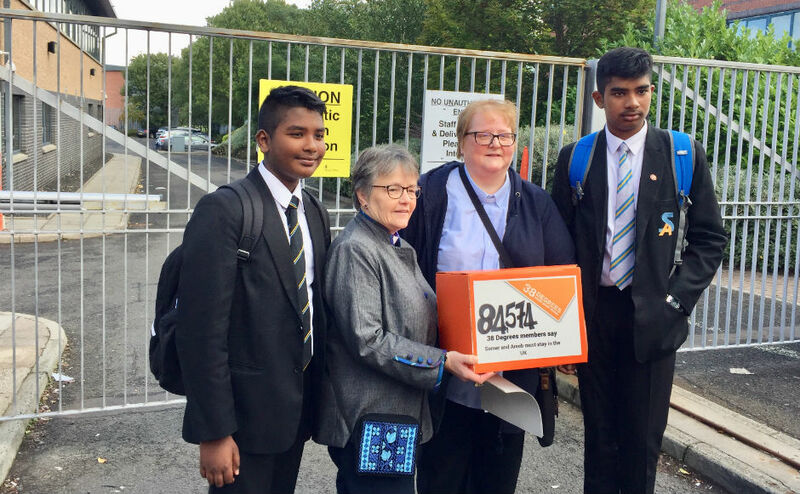 The 38 Degrees petition was handed over to staff at the Border and Immigration Agency office in Glasgow by Mrs Brown, Paul Sweeney, MP for Glasgow North East, and the family’s minister, Rev Linda Pollock of Possilpark Parish Church. 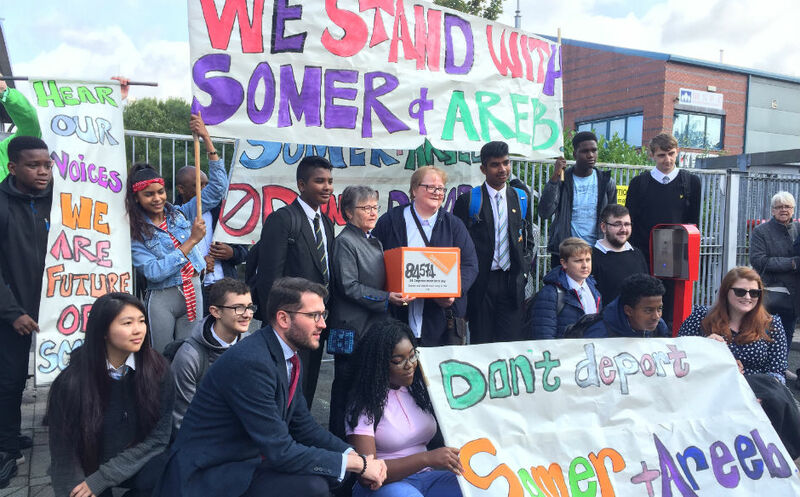 Sixth year student Amy Brown has started a separate petition in support of Somer and Areeb, who hope to go to university to study astrophysics and astronomy respectively, and 2,322 people have signed it so far. “Their plight has moved thousands of right thinking people across the country to support them against the hostile environment the UK Government has imposed on our asylum system,” he added. “As their MP, I will not relent in my efforts to secure for them the permanent sanctuary in the country that they deserve and have more than earned through their positive contribution to our community." “The backing given to Somer, Areeb and their parents has been both emphatic and heart-warming,” he added. Tamsin Dingwall, Moderator of the National Youth Assembly of the Church of Scotland, said the petition handover represented “passing the fate of the brothers to someone else”. “All that we can do now is pray that the correct decision is made regarding their safety and wellbeing,” she added. “These boys have contributed to and enriched their community and they are deeply valued and loved. The Kirk is a leading member of the Scottish Faiths Action for Refugees group.